Beasley Media Group, LLC; a subsidiary of Beasley Broadcast Group, Inc. (NASDAQ: BBGI) announces Nicole Michalik has been named as the new weekday afternoon drive personality from 3-7pm at WXTU-FM in Philadelphia. She will officially begin her new position on Monday, February 25, 2019. Michalik, who has been heard on radio over the years at WISX-FM/MY106.1 and WIOQ-FM/ Q102 in Philadelphia, B104 in Lehigh Valley and WLAN-FM in Lancaster, PA, is best known as “Nik the Web Chick,” and currently serves as the host of the hit podcast, “Why Are You Following Me?” (currently available on iTunes). In addition, she’s appeared as contestant on NBC-TV’s “The Biggest Loser”, co-hosted “The Q” on Fox29 in Philadelphia and starred in the off-Broadway show, Gilbert Gottfried Presents: “The Diet Show”. 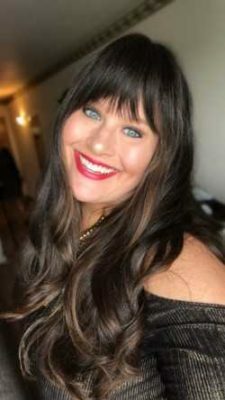 Michalik has been a featured presenter at the Pennsylvania Conference for Women and has assisted with social media at various national events, including iHeart Radio Music Festival. Nicole replaces “Razz on the Radio”, who was recently promoted to Program Director and is currently splitting the midday shift with Brian Mckay.